There’s a different thing about festivals. They bring us joy, happiness, sweets, positive vibes and friends, and family. Diwali is near and those working in different cites must be moving to their cities to celebrate it with the family. Many must be busy shopping for the decor, many busy cleaning the house, much busy making sweets and so much more that cannot be listed. But wait what about shopping? 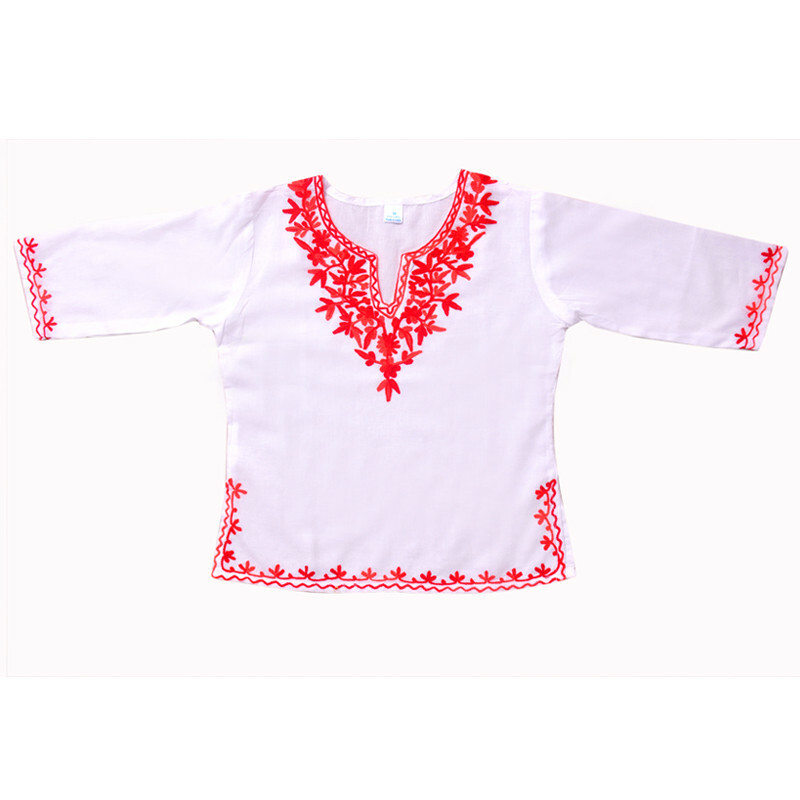 Don’t you want to get designer kids ethnic wear? Of course, you want but lacking time, here’s the help. 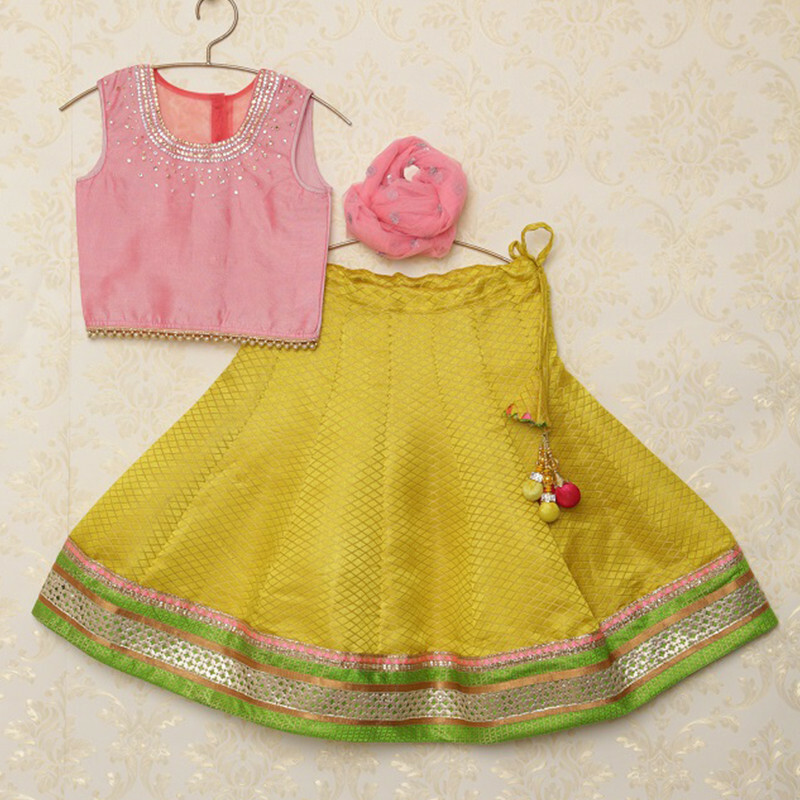 This is one comfortable ethnic wear you can make your baby girl wear this Diwali. Red and white, the combination is fabulous. Isn’t it? This kurta is dyed in white and has red embroidery on the neckline, cuffs and the hemline. This red white combination no doubt is going to look amazing on your diva. This is for the pink lovers. The little girls out there who are crazy for the color pink. This ethnic set is fashionable and traditional. It has a designer border which is giving it a bold look. It includes a beautiful jacket which has embellishments all over, even at the back. It comes with an elasticated pajama and a net dupatta. Mustard is open unique color to style your baby in, this Diwali. This is a pretty mustard color kurta you can pair with any colored jean. Or you can try it with a black one, the combination will look really great. 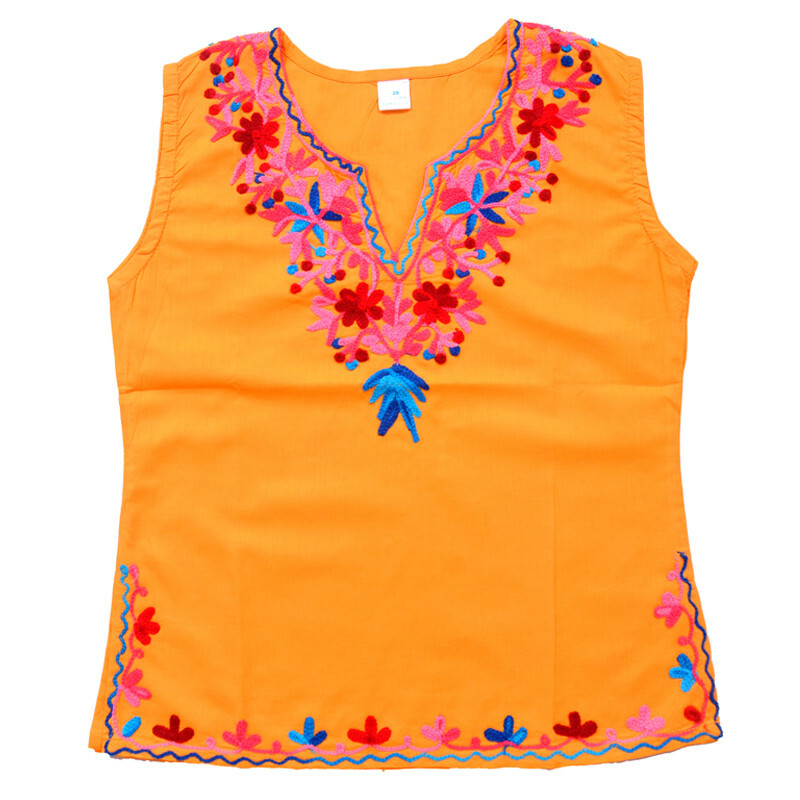 It has colorful embroidery on the neckline and the hemline, it is a sleeveless kurti and guarantees full comfort. You little girl will play and enjoy Diwali in comfort wearing this kurti. Let your little angel feel the best of festivity in lehnga choli. 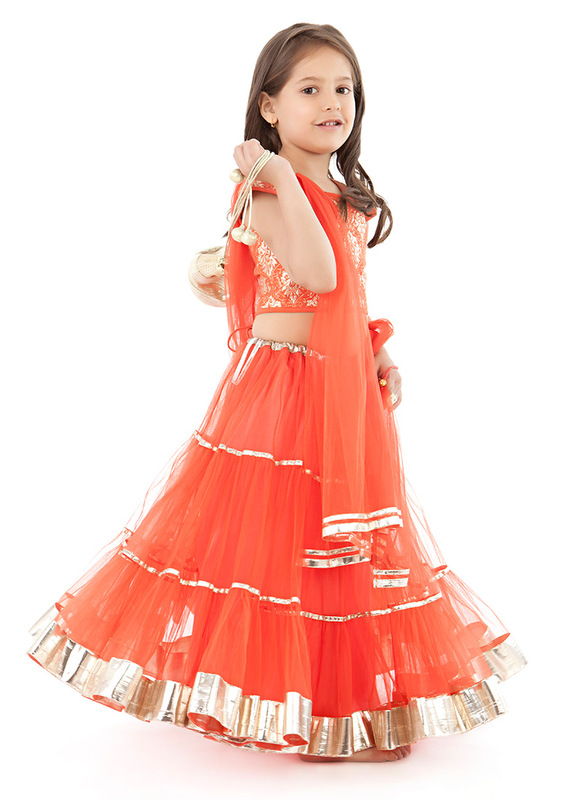 Get her this beautiful Saka traditional brocade kids lehenga choli set. The set includes pink choli that has both neckline and hemline embellishment and also a tassel hanging from waistline, which is enhancing the look of the lehenga. The gorgeous border on the lehnga is the another added charm which definitely will help your baby girl shine this Diwali. The net dupatta completes the look of the attire. Why should girls have all the fun? Boys should get a chance too, to dress this Diwali and be a sparkler. Here we are with one best you can have for your baby boy this Diwali. The problem dressing in a guy baby is more as compared to a girl. The reason is we have a really limited choice for boys. But if you get this one you won’t even think of the choices. This is a beautiful and traditional boys brocade designer 3 piece set. 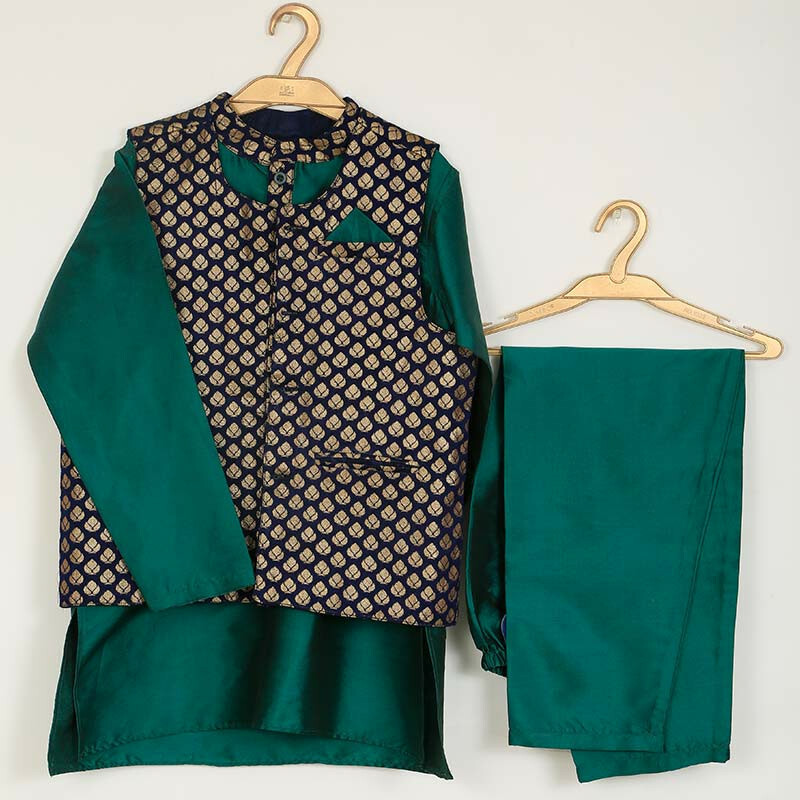 It includes full sleeves Nehru kurti, an elasticated pajama and a sleeveless overcoat. This attire we assure is going to look awesome on your boy. Now I guess you baby will get something good to wear this Diwali. You won’t regret picking up anything from here, instead, it will become your favorite stores like many others. Online ethnic wear for kids made your Diwali, right? As you will be getting the ethnic dress just by a click. The post Ethnic Dress is What Gives you Festive Feels appeared first on Baby Couture India.